This delicious bread is easy as can be to throw together and bake. A mixer does all the work and it bakes up like a dream spread out on a sheet pan. 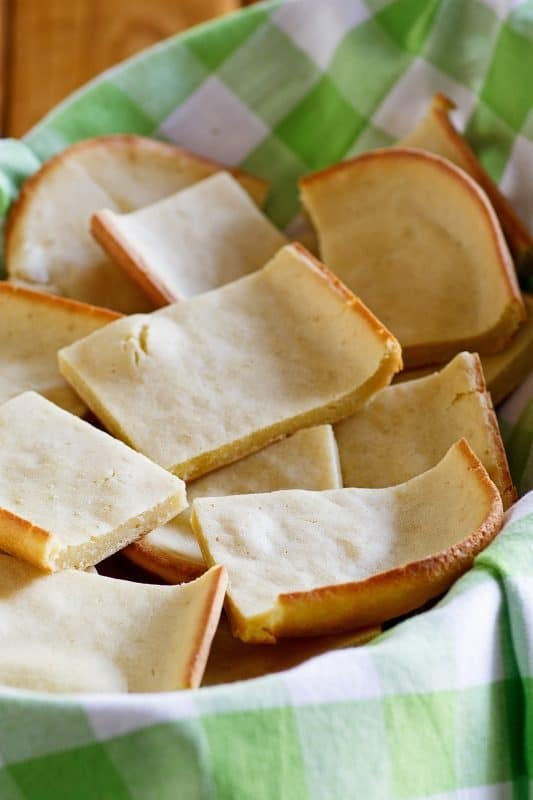 What’s even better, this soft, chewy texture (which resembles Little Caesar’s Cheesy bread to me), is also perfect for Cinnamon Sticks, Italian Herb Bread, Cheesy Bread, and even as a crust for Pizza! This is an exciting year for us because it marks the completion of our first full year of celebrating the Biblical Feasts. 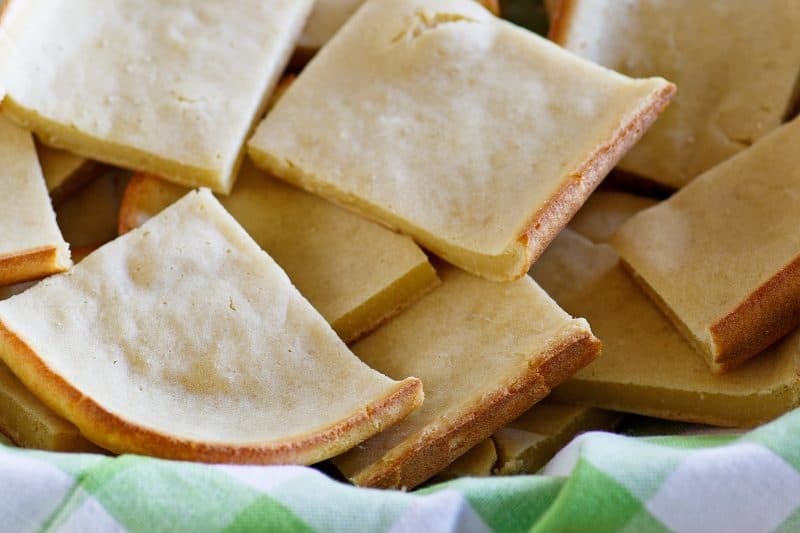 We began last summer with Shavuot so this will be our first time celebrating Passover, immediately followed by the Feast of Unleavened Bread, which is what led me to work on this recipe. The kids liked it so much that I had to stop making it so that it doesn’t lose that “special” feeling before Passover gets here. 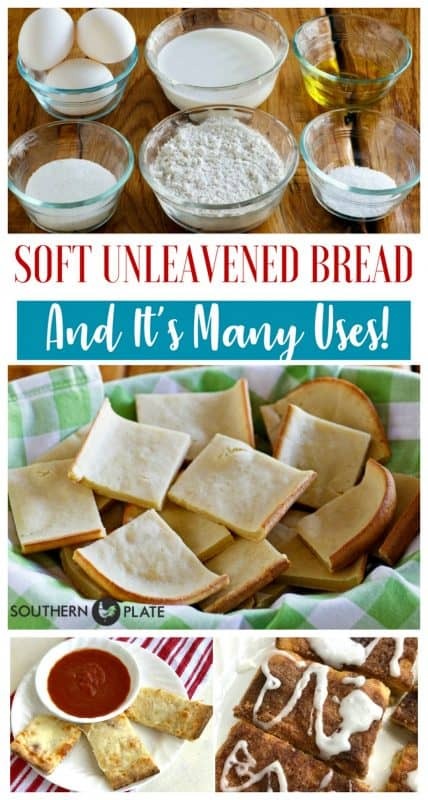 There are several variations on this bread and the great thing about them is that each recipe starts with a fully cooked pan of it so you can just make double today and tomorrow turn what’s left into (as I mentioned before) either Cinnamon Sticks, Cheese Bread Sticks, Italian Herb Bread, or even Pizza! In fact, from the first taste Katy’s friend, Sara Jane, immediately requested Passover Pizza as soon as the Feast of Unleavened Bread arrives. Is Passover Pizza a thing? Well, it is now! I’ll put all of my variations in the recipe card at the bottom of this post. You likely already have the ingredients on hand to make this delicious wonder of a bread: eggs, whole milk*, olive oil, all purpose flour, salt, and a wee bit of sugar. *I always use whole milk for this. You can use other milks and it will likely turn out fine. However, I only use whole so I can’t relay any personal experience using alternatives. I buy organic whole milk because it lasts so long in the fridge and that is what my son enjoys in his protein shakes and what I enjoy in my baking. Place all ingredients in a large sized mixing bowl. Beat with an electric mixer until fully combined and well blended. I use my stand mixer for this and it should only take a minute or two at most. Spray an 11 x 15 baking pan (click here to see the one I use) with cooking spray and spread dough into pan. Bake at 450 for about 20 minutes, or until just lightly browned. I love this pan and I have it in robin’s egg blue, too. I’ll be giving a couple of these away at random to folks who subscribe to my free newsletter this week. So if you haven’t signed up already, make sure you do at the red bar at the top of this page. The last two weeks I’ve given away bundt pans and muffin tins. I haven’t decided on next week but it will be something fun! I also love the way this bread releases from the pan so easily as it bakes. You can cut it with a pizza cutter or even a soft butter knife. The soft, chewy texture is a favorite of everyone. I tend to cut this in squares but you can cut it however you like. Here are just two other options that I took some quick pictures of with my phone. On the left is cheesy bread and on the right cinnamon sticks. Both are made after the bread has baked so you could easily bake extra bread today and turn it into either of these tomorrow. I usually slice a pan sized batch of bread in half and make cheesy bread with one half and cinnamon sticks with the other! Both variations and more are included in the recipe card below. Place all ingredients in medium mixing bowl. Beat with an electric mixer for about two minutes, scraping down sides if needed. Spray a 11x15 pan with cooking spray. Pour batter into pan and spread to edges. Bake at 450 for about twenty minutes, until just very lightly browned. If you don't have an 11x15 pan, use a larger one and spread it into a rectangle about 11x15 inches. Cheesy Bread - Sprinkle top generously with mozzarella. Place in 350 degree oven until cheese is fully melted. Cinnamon Bread Sticks - Spread 1/4 cup melted butter over top of bread. Stir together 1/2 cup sugar and 1-2 tablespoons cinnamon. Sprinkle evenly over top. Place in 350 degree oven for about ten minutes, or until bubbly. Italian Herbs Bread - Spread top with 2-4 tablespoons olive oil. Sprinkle with dried Italian seasoning and garlic powder. Bake at 350 for about ten minutes, or until fragrant. This recipe is featured on Meal Plan Monday and The Weekend Potluck! Thank you so much for this recipe. I have been keeping the Biblical feasts for many years but I can’t ever seem to find a good recipe for unleavened bread. I can’t wait to try this! Have a wonderful festival! Oh how wonderful!!! I’m so encouraged by you! Thank you and have a blessed day! I’m afraid I don’t but if you experiment please report back! This sounds wonderful! I’m already thinking if it makes a good pizza then why not top with some taco sauce, meat and cheese. Then add our favorite toppings. In am already hungry for this! Gloria!! I’m so glad you left this comment. I was just sitting here wondering what else I could do with this recipe this year! LOVE this idea, thank you! What are the health specs for this? Do you mean nutritional values? If so, I always recommend myfitnesspal.com for calculating those. I don’t offer them on my site as there are too many variations that can take place on the reader’s end and each reader is looking for different reasons. Hi Christy!! I was looking for an unleavened bread recipe and found your blog. First, I’m so excited to find a like minded believer. Reading the comments on this bread post made my eyes tear up. Second, I’m gluten free so I tried this recipe using Cup 4 Cup gluten free flour mix and was very happy with the results. Mine is about twice as thick as yours but it tastes great! Thank you for sharing your heart and your recipes! Can’t wait to explore your site! Hi Christy ~ By any chance, do you have a clone recipe for Good Season’s Garlic & Herb salad dressing mix (0.75 oz pkt)? Suddenly I cannot find this in 3 local groceries, and I use packets of it in a favorite recipe. Please help! Thank you. 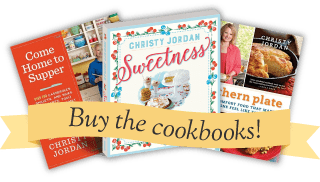 Love your blog + use many of your recipes. I don’t off hand but I’ll keep my eyes peeled because now I’m curious! Thank you so much! Linda, you might try talking to the store manager and requesting they restock the Good Season’s Garlic & Herb salad dressing mix. Many times a change of managers or computer glitches cause a regular item to be dropped from the order list. OH MY GOODNESS!! Been looking for a recipe like this for YEARS ! !Thanks SOOO much !!! Will make this MANY TIMES for my family !! LOVE!LOVE! This makes me SO HAPPY!!! Thank you, Cindy! I’m afraid I don’t have a recipe for those – yet. 🙂 My sister and I just discovered what they were last year and we didn’t celebrate Purim. Since this is our second year, we are just keeping the commanded feasts and are planning on looking at adding additional traditions next year. We don’t want to risk our kids thinking traditions are commandments so we decided to start with those as a baseline, if that makes sense. Thank you Christy. I love the story of Esther also. Thank you so much, Judy! It was so wonderful to hear from you this morning and knowing you’re in Australia just makes this kinda cool ;). I had heard of it as well but didn’t really understand it myself until recently. I love that there is always something new to learn and do in our lives. I appreciate your encouragement and kind words! Hi Christy, I would love to make this bread, can you please tell me how to measure the flour? Love your recipes and all your posts. Hey Melba! I just measure it out in a dry cup measure. I do tend to scoop it out of the bag with the cup but the “correct” way is to spoon it into the cup and level it off with the straight side of a butter knife, making sure you don’t pack it into the cup. I do that when I’m teaching people but not when I’m cooking for my family. You will never regret celebrating His Feasts! We began our journey 12 years ago. We have been blessed and so will you! Do you observe Shabbat? It is the Fourth Command and such a blessing ! I will remember you in prayer! Hey Gloria! Yes, it has been a tremendous blessing to us. Literally, our entire lives have changed for the better in more ways than we could have ever imagined. We do keep Sabbath. We began that a little over a year ago (year and a half now I guess) and it’s become the thing we look forward to most each week. I don’t know how we ever managed without it. We begin with a special meal Friday night and end with meeting together in the home of friends for Bible study Saturday evening. Saturday morning is all about resting, coffee, talking, and Scripture 🙂 My husband and I have never been so happy or had so much peace. I’m answering this comment on the back end of Southern plate, the dashboard, so I can see your email address and from that I can tell we are very much on the same path 🙂 Wishing everyone here blessings in their faith walk! Thank you for your prayers! That is so awesome to hear Christy! I was wondering if you kept the Sabbath also. We started about eight years ago. What a blessing it is. and what a platform for you. I will pray for you and your family in keeping this walk. May Yahuah bless you and keep you. May He keep his face upon you and give you strength. you may contact me directly if you ever need to. 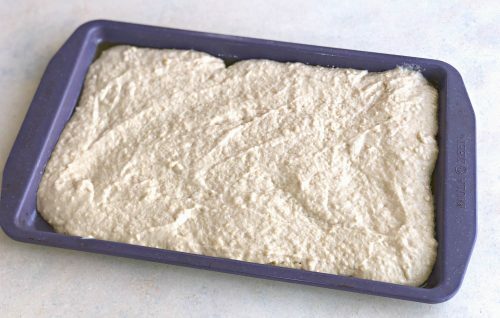 I thought that flour wasn’t to be used during Passover… only Matzoh meal. Now I’m confused. I completely understand. It is sometimes (often) confusing if you look to how people do things as opposed to how God says to do things, so the best course of action is to go with the Bible as your first source. Some faiths use other books and resources outside of the Bible that have additional guidelines to follow but we just go by what is in the Bible. Scripture is really straightforward on how to observe The Feast Of Unleavened Bread. Leviticus 23:4-8, Exodus 23:15, Exodus 12:15-20, are just a few verses. You can also find verses in the gospels showing how Jesus and the apostles observed as well (according to those scriptures I posted). 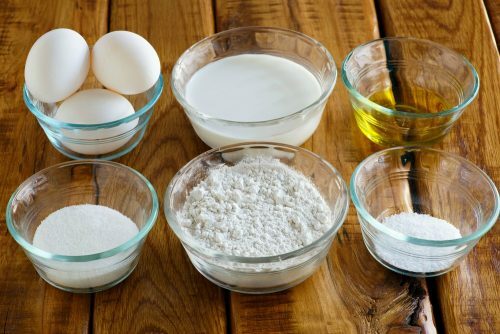 According to the God’s commandment, we are to remove leavening from our homes and not use it during this week: yeast, or other substances that cause bread to rise. Don’t eggs cause the bread to rise tho?? For those who observe Passover as dairy free, as is the tradition, how would you make this dairy free? I’ve not read in Scripture about dairy restrictions of Passover. If you know of any, I would really appreciate it if you could comment where they are and let me know so I can look them up and comply. However, I’m not Jewish, we are Christians, so this may be a talmudic tradition. I found this link for you and it specifically states that dairy is fine for Passover for those who keep kosher as well: https://toriavey.com/what-foods-are-kosher-for-passover/ If you have someone with a dairy issue in your family I do think almond milk would work well. We eat according to the dietary guidelines in Scripture, which is very similar to kosher but very different on a few things. Either way, hopefully almond milk will fit the bill here 🙂 Have a blessed evening! Thank you for this recipe! I look forward to trying it this year. Passover pizza? Sounds like a great idea! I hope you get the chance to try it, I think you will love it!!! The pan that you had a link to in your recipe is a 10×15 or the other choice is 11×17 and your calls for a 11×15, so I’m confused. 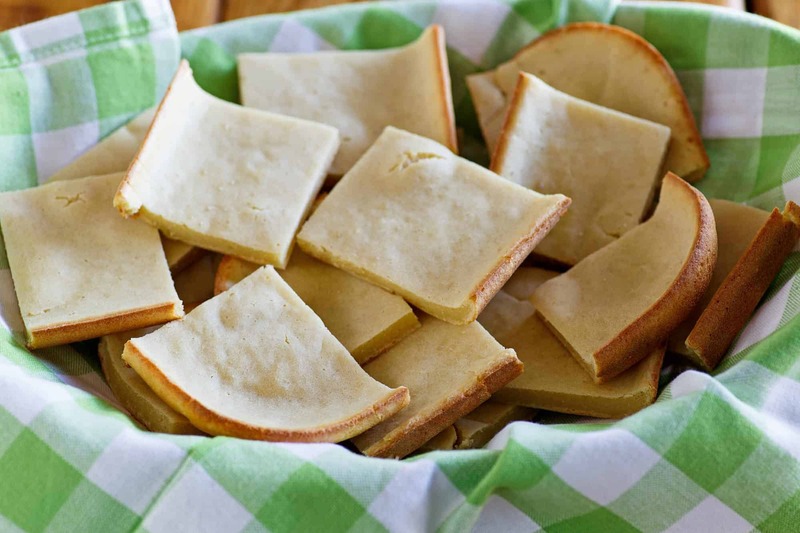 This is our second year celebrating Passover and I’m excited to try your unleavened bread recipe as last year’s was a flop 🙁 I’m wondering what other recipes you are planning to use for your Feast of Unleavened Bread this year? I’m hopeful you’ll post more as we get closer! Hey Christy. This looks so good. I can’t wait to try it!!!! See you on the front porch tommorow. Christy, I was interested to read that you used whole milk…I just read that whole milk is actually only about 3% milk fat, and even though the nutritionists have told us for years that skim and/or 1% is better for us…it actually isn’t! Once again, the food that the Lord provided for us is best in its natural state. Apparently, women can absorb the calcium in full fat dairy products better than in the low or non fat varieties. DRINK MORE MILK!!! I support dairy farmers!!! This is so cool, thank you. I have been thinking about Passover for some time now but had not really got down to thinking or looking for unleavened bread recipes. I am excited to try this recipe and will today. Thanks again and have a lovely and blessed Easter! I just made this today and it is so delicious! We loved it plain right out of the oven. After it cooled completely, I made a little cinnamon sugar bread this afternoon with my coffee–so good. Can’t wait to try the other variations. Christy, this is so wonderful, thank you for posting this. Enjoy the holiday season. Oh goodness, I am glad you figured out what the problem was Jayson!! I knew I hadn’t seen you around as much. I hope you had a blessed day and it I see so good to have you back!! Christy! This is the o my way I know how to contact you but your email is having issues again. You nsy already know this but I thought I’d alert you. It’s the 1980’s recipe email. Here is a portion of what I see..
these fun little mixes that allowed. I hope this helps and you see this comment. My apologies for the terrible typo’s! I’m so sorry you had this problem but I apprceiate you being here! This just came out of the oven, and I snitched a piece and spread some butter on it-so good! Then I snitched another piece. Had to tear myself away or we wouldn’t have any for dinner, but I must say this is the easiest bread I ever made-delicious! I am so glad you liked it Susan!! I hope you had a wonderful dinner!! Thank you so much for sharing this recipe. I’ve just made a batch and it’s lovely – exactly what I was looking for texture-wise. Also, pleasantly surprised at how easy it was to prepare with no need to get the roling pin out! Absolutely delicious! I’m a Children’s Minister and made this for a children’ts bible study class as we are studying Moses and the Israelite’s fleeing Egypt with the Israelite’s final meal in Egypt including unleavened bread. Super easy to make and tastes like it took all day. Great recipe. Thank you so much! I didn’t see an answer to an earlier question by someone else. Your link referred us to Paula Deen’s 10×15 inch pan on Amazon, yet the recipe instructs us to use 11×15 specifically. So which one? I like the look of your unleavened bread and don’t want to ruin it-I don’t have your kind of money to waste ingredients. Goodness, I am both surprised and excited to read your comment about not having “your kind of money to waste on ingredients” as I didn’t realize I had that kind of money, either! Your new insight into my financials gives me great hope. Although, I doubt I would waste it on ingredients. I would, instead, just feed more people. Your email address (shown privately and I will not share it here) tells me that you do, in fact, spend a great deal on ingredients. I do make it with this particular pan, the one linked, but I also make it in an 11 x 15 as well. In fact, I made two pans yesterday and used both of those sizes, one recipe in each. As this appears to be your first visit, I do hope you’ll come back but I also would appreciate a little less of the attitude and a little more kindness if you decide to do so. This is my little home on the internet and we will treat each other with respect and kindness while here. Hi! Thanks for sharing a recipe that looks like the one I used to make years ago and lost somehow. I’m no longer affiliated with a church which keeps the holy days, but my husband and I have a small Passover service, at my request, and I “keep” unleavened bread – and attempt to keep the Sabbath (he has to work). I also follow the dietary laws, and have for 40 years now. Why don’t people believe that God designed us and knows best what’s a healthy diet for us? Also, since I no longer have four kids living at home I also no longer have a jelly roll pan (actually, I probably managed to destroy it with a craft or gardening project and just never needed to replace it), but will make 2/3 of your recipe (very easy to do in this case!) And make it in a 9×13 pan. Eggs are a leavening agent… will not work for Unleavened Bread Feast… but the reciope sounds great for other uses though. Hey Nancy! We eat according to Biblical guidelines, both during the Feast of Unleavened Bread and outside of that, with YHWH as the authority. During unleavened bread the Father tells us to avoid yeast, not eggs. Kosher dietary restrictions are different and if the desire is to eat kosher, this recipe would not work for that. Have a great week! Many blessings in Messiah to you from Jordan! PS Thank you for the matzah recipe! It really looks great! I am so glad you liked it Lucy!! !